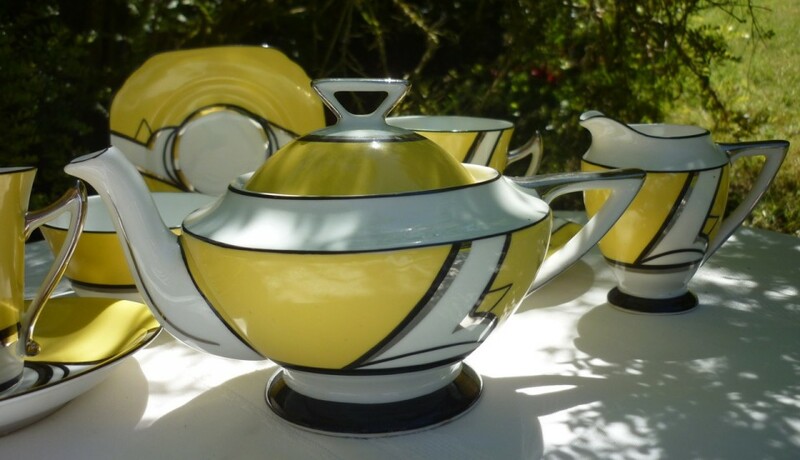 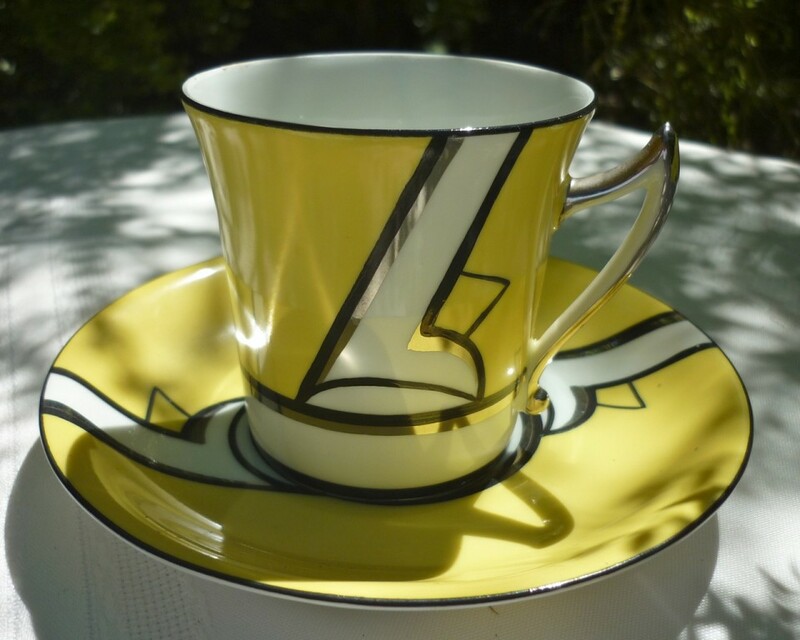 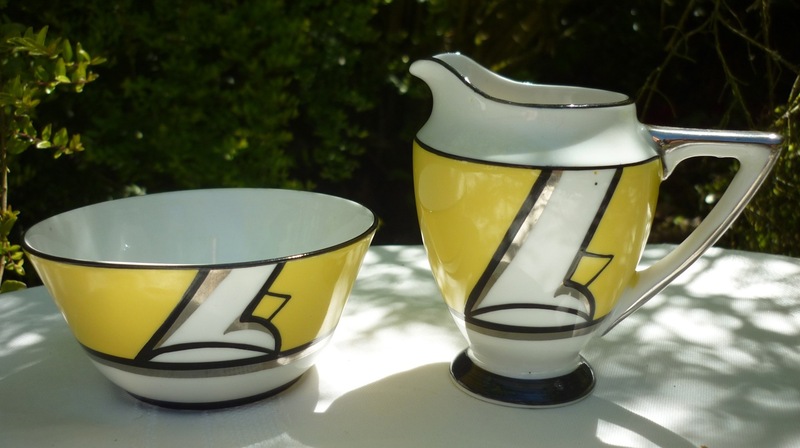 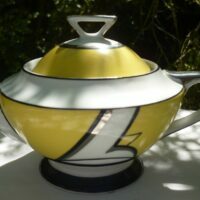 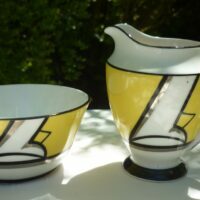 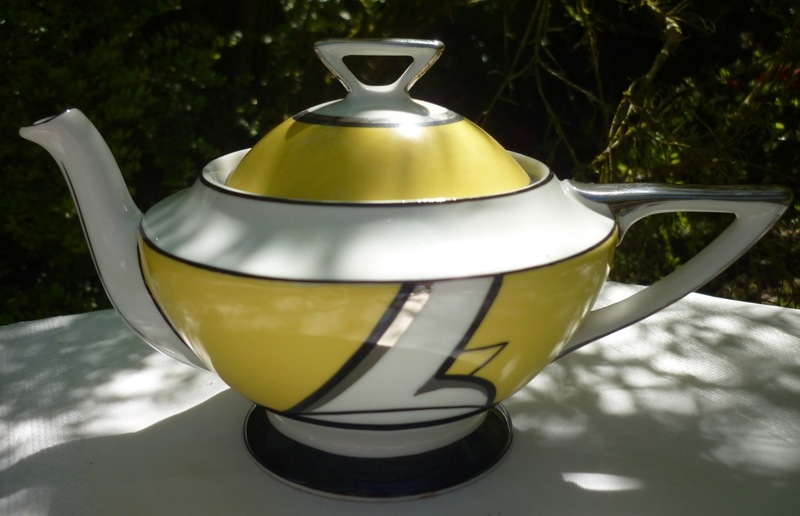 This art deco style tea set for two is likely from the 1920’s-1930’s. 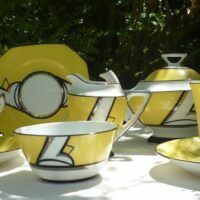 The shape of the tea pot, cups and the plate are very stereotypical of the era of art deco style. 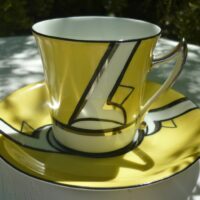 The flamboyant pattern really stands out creating a lovely fusion with the vibrant bright yellow leaping forward into your eye. 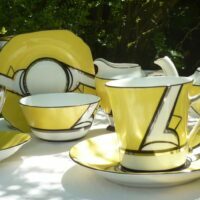 This tea set is perfect for outside in the sun or a summery café like get together with a friend. 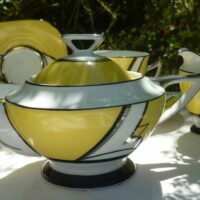 The jazzy, theatrical shape of the handle’s subtle pattern will help to generate a glamorous atmosphere wherever you use this tea set. 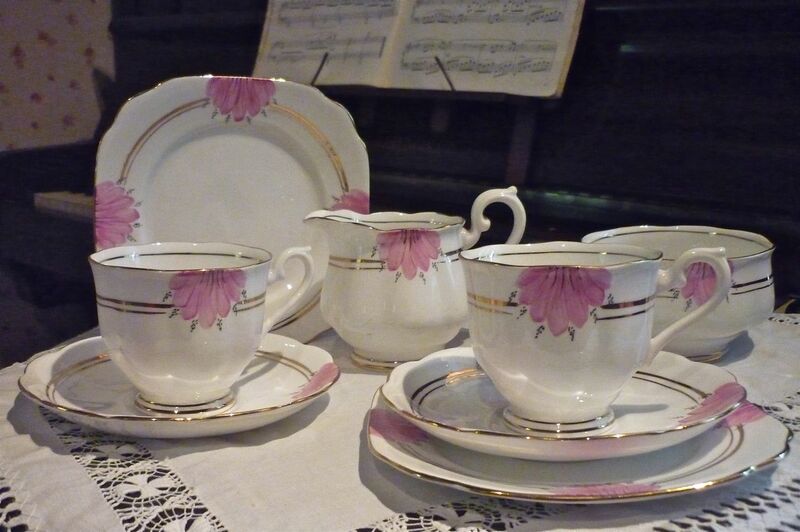 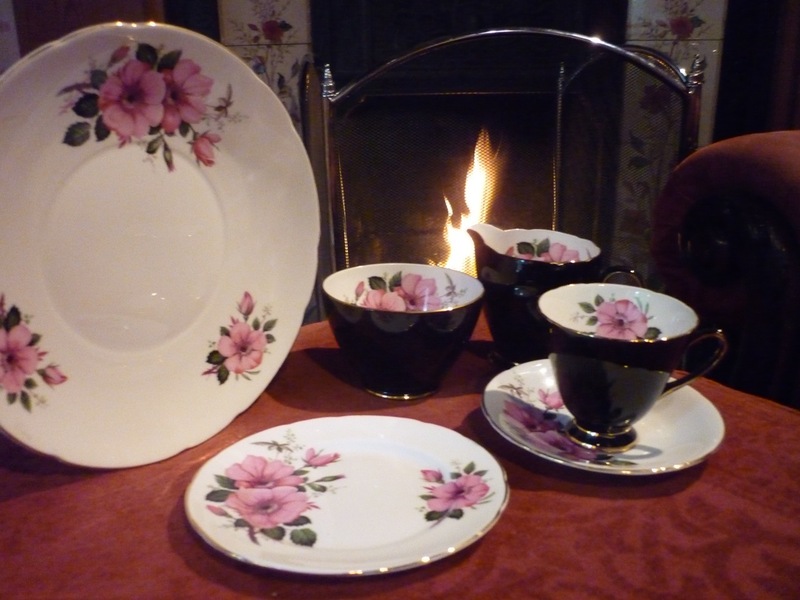 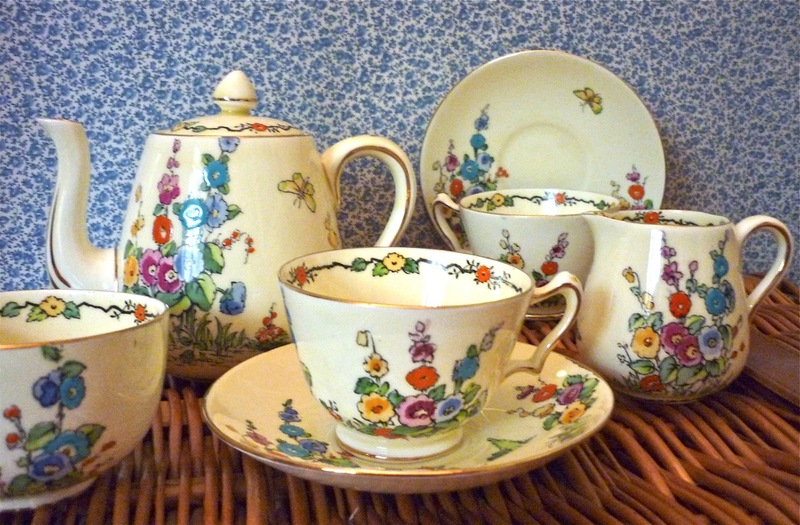 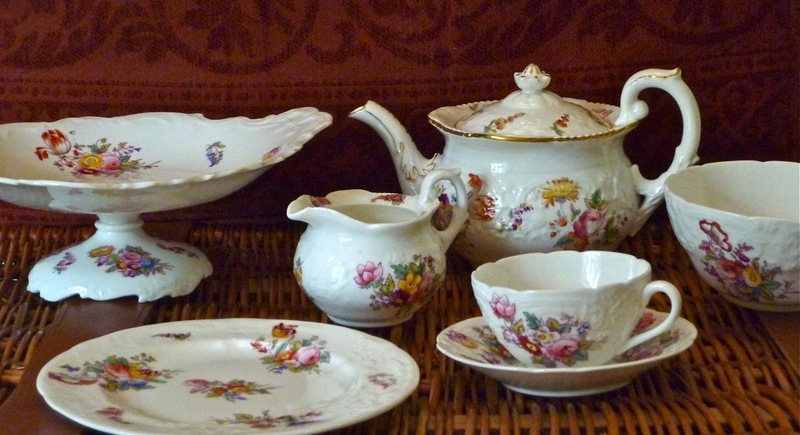 This nostalgic tea set from yesteryear will show a stylish sense of choice in how you wish to spend your tea time.